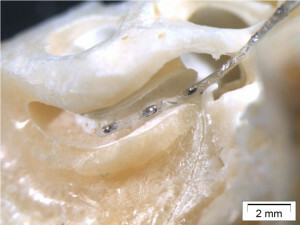 One of the main parts of the implant in a cochlear implant system is the electrode. 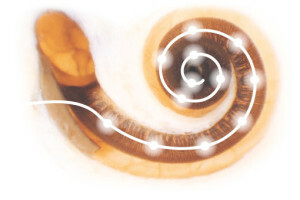 Electrodes send electrical pulses to the nerve cells within the cochlea. It sounds simple, right? But if they just send signals to the cochlea then why do we have so many different electrode arrays? What is a good electrode design? To learn more, let’s take a journey through the history of MED-EL electrodes. As we showed in our photographic tour of the cochlea, a normal cochlea is lined with thousands of nerve structures. Keeping these cells intact is one of the best ways to ensure hearing performance both today and in the future. When MED-EL was founded in 1989, the first of our electrode arrays incorporated two signature electrode features: wave-shaped wires and a free-fitting design. Both of these make for a flexible electrode that can maximize the preservation of the cochlea during a structure-preservation surgery. The components of an electrode array. From bottom to top: an electrode wire, an electrode wire after the wave shaping, an electrode contact in the middle of an electrode wire, and a contact on the very tip of an electrode wire. The wave-shaped wires increase the flexibility of the electrode array, and the free-fitting design means that the electrode array can naturally fit to the curves of each individual cochlea. 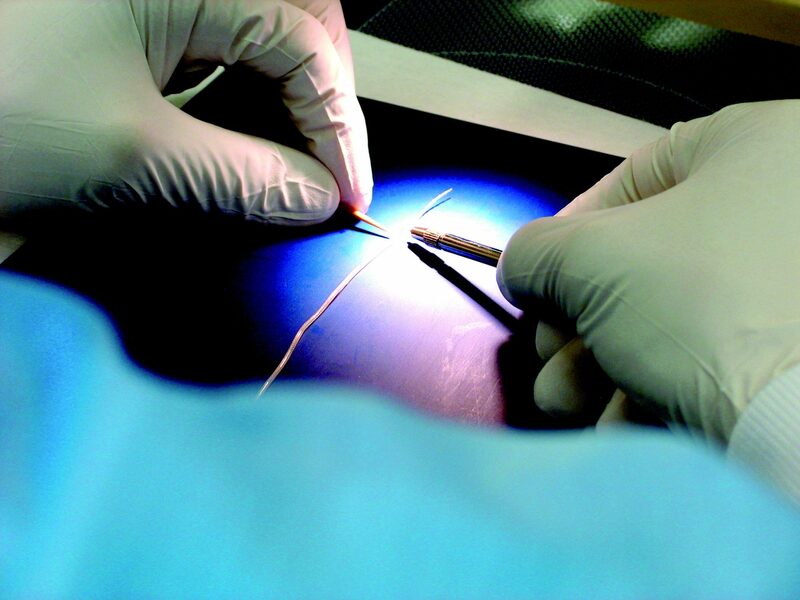 In 1994, the first 31.5mm electrode array was introduced by MED-EL. This is special because 31.5mm is the length of the average cochlea. So, an electrode that is 31.5mm long can reach all the way to the very top of the average cochlea. This means it can stimulate the whole length of the cochlea including the nerve cells responsible for the very lowest frequencies of sound. 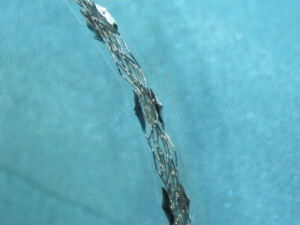 An electrode array filled with wave-shaped wires and contacts is soft and flexible. Today, all MED-EL electrode arrays use 12 channels of stimulation. The very first 12-channel electrode, the Standard, was introduced in 1996. Why do we have 12 channels? The number of channels in an electrode array is a topic that’s talked about a lot in our industry. Often, people believe that that more channels makes for better performance. However, research has shown that the optimal number of channels is 12. This is because if channels are placed too close together they can both stimulate the same nerve fibers and therefore create the same sound, 12 channels mean that each channel can be placed to stimulate only a very specific area of the cochlea and therefore not interfere with other channels. Also, this space between each channel (for example, 2.4mm in the Standard electrode) also makes the electrode more flexible. How the Standard 31.5mm electrode array might look when fully inserted into an average cochlea. A new era of structure preservation started in 2004, when we introduced the FLEX-Tip design for our electrode arrays. 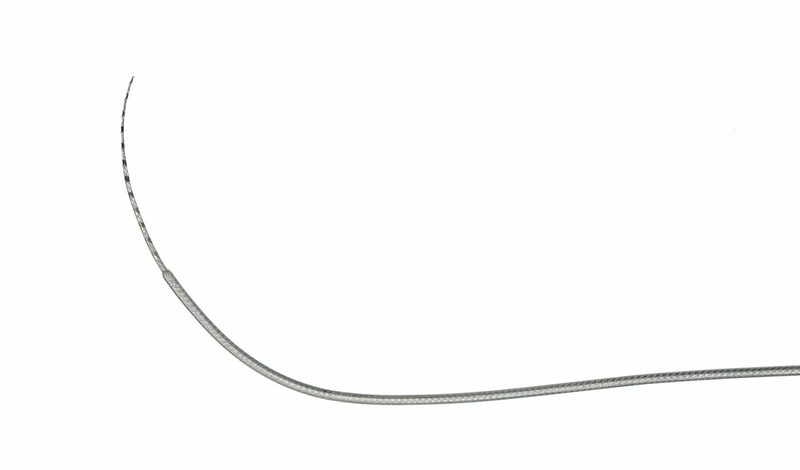 The FLEX-Tip makes an electrode array especially flexible. The secret to the FLEX-Tip is that the very tip of the electrode array (the first five channels) have only one electrode contact. This makes the tip even smaller and more flexible, so that it can fit better into the tiniest curves at the top of the cochlea. In 2011, we expanded our electrode range by introducing the FLEX 28. It’s a 28mm electrode that uses the FLEX-Tip. Just like a 31.5mm electrode is important because it can be fully inserted into a cochlea of average length, a 28mm electrode array is important because this length is designed to be used in 96% of all typical cochleae. So, what exactly makes a good electrode design? It revolves around two key features: being soft and flexible enough to preserve the nerve structures in the ear, and being long enough to stimulate the whole cochlea (we call this Complete Cochlear Coverage).